Summer is around the corner, which means basil is coming into season. It’s time to try some basil smoothies! 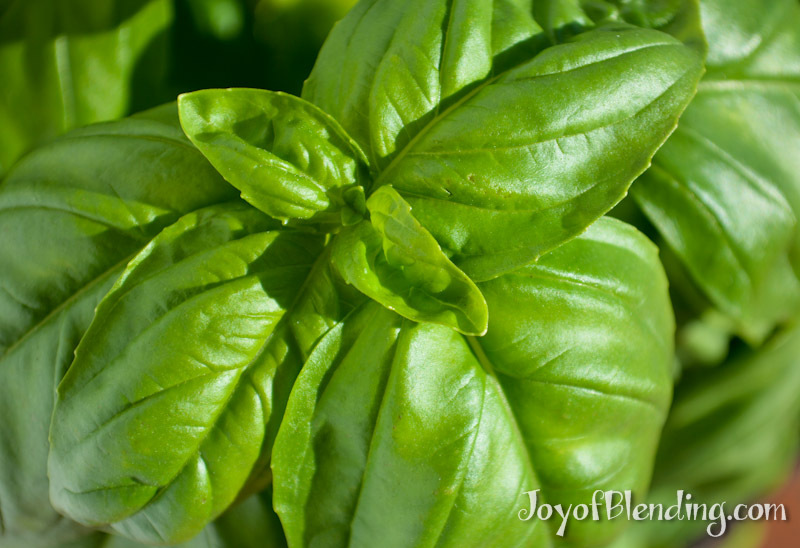 I love basil, but I usually serve it with tomatoes or use it for pesto. 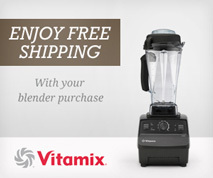 It turns out that it can be excellent in fruit smoothies as well. 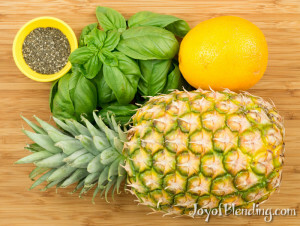 This combination is delicious, refreshing, and just a little out of the ordinary. If you can, I highly recommend growing your own basil so it is maximally fresh. Even if you don’t have a vegetable garden you can buy a potted basil plant and keep it in a window with lots of sun. That said, basil leaves will keep for a couple days in the fridge, so don’t let lack of a plant stop you from trying out this smoothie. Makes ~3.5 cups, or ~2 servings. Remove woody basil stems, but tender stems are fine to include. Blend on high until smooth, about 40 seconds. Serve and enjoy right away! *In case you hadn’t noticed, I’m a big fan of chia seeds, but you could also use nuts or yogurt instead. Adding basil to a smoothie reminds me of using mint. 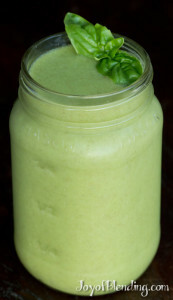 While writing this post I looked back at my mint smoothie recipe, and I realized that this recipe is quite similar. You can of course also add basil to tomato-based savory vegetable blends, which is also delicious. Hi Keysha, I don’t know about Weight Watchers, but if whole fruits and vegetables are zero points, then most of the fruit and veggie smoothies on this site should be zero points too, b/c Adam rarely adds sweeteners, and the whole fruit an or vegetable (rather, all the parts you’d ever eat) goes into the smoothie—that’s one of the nice things about high powered blenders, they make what Vita-Mix calls “total juices” which include all the fiber. The fiber is what makes fruits and vegetables so healthy, and balances out the problems with all the sugar in fruit. Love your new “RECIPES BY INGREDIENT” index. I will use it OFTEN!! Thanks. Glad to hear you found it and that you like it! I’m about to post an update announcing it for my less observant readers.